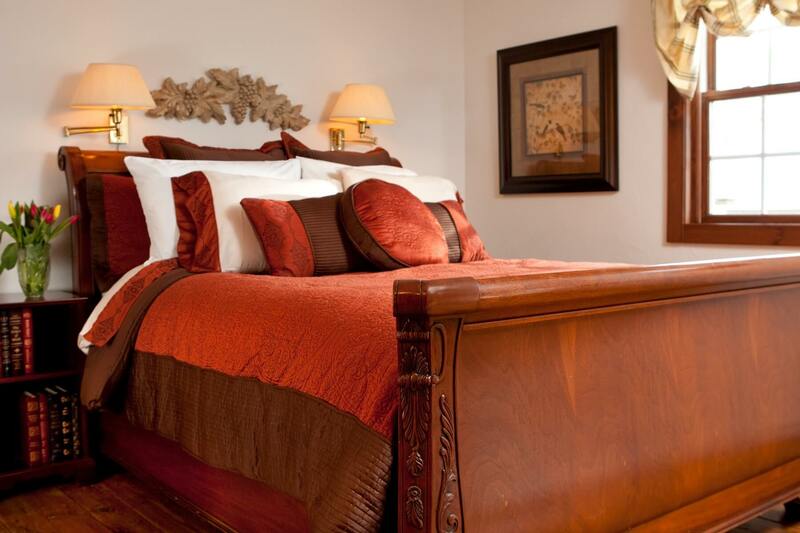 This richly decorated suite is named in honor of Orlando, the youngest son of Captain Shubel and Sarah Smith. Orlando discovered Westerly Granite and founded Smith Granite Company, which shipped thousands of monuments to our nation’s Capital. 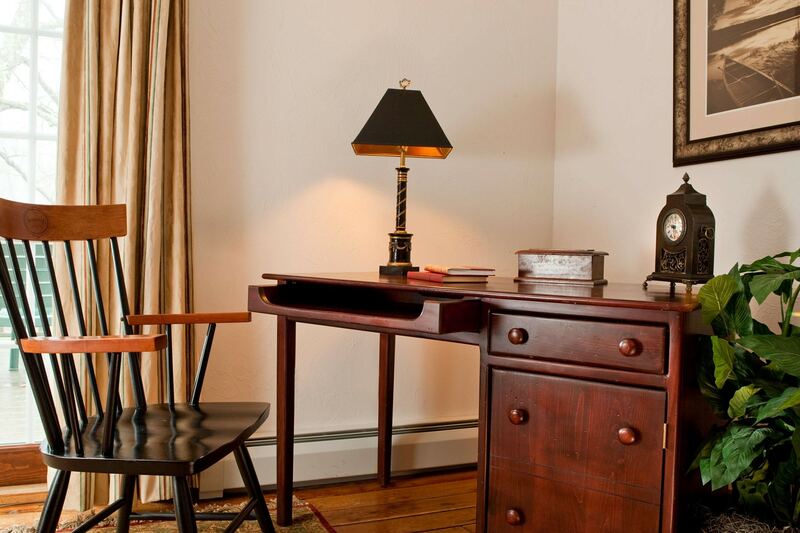 Anchored by a handsome, walnut, queen-sized sleigh bed, this spacious room features an elegant comforter, dark-wood armoire, gas fireplace (Oct. 1 – April 30), loveseat, small writing desk, and double French doors that open to the back deck with private sitting area. 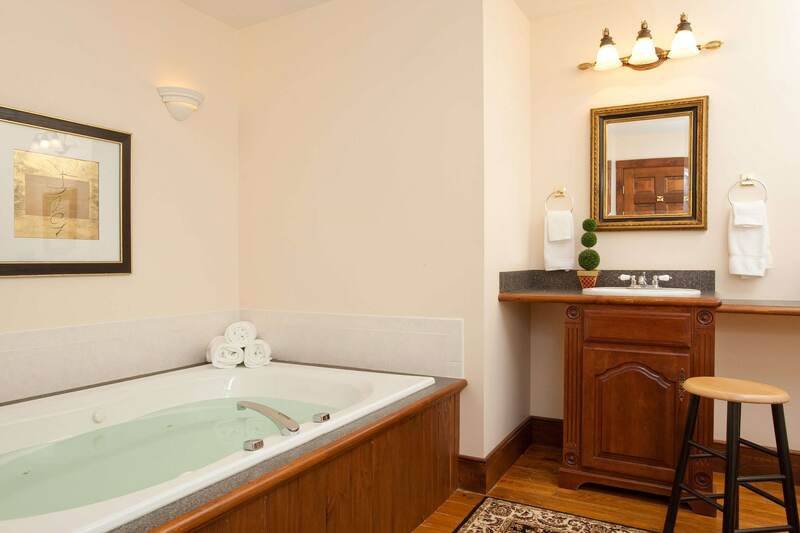 This spacious suite contains a private bath with a two-person whirlpool tub, separate walk-in shower, and heated towel rack. At the end of the day, sit on the deck just outside the room and watch the sunset over the back gardens.